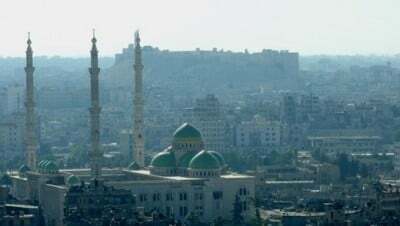 The northern city of Aleppo has been one of the most greatly misreported-on cities in the Syrian Arab Republic, with Western and Gulf media and NGOs continuously ignoring the realities of life in the city of over 1.5 million civilians, instead launching coordinated propaganda campaigns against the Syrian government and army, and in favour of terrorists labelled as “rebels”, and ignoring their firing of an array of missiles, rockets, Hell Cannon-fired gas canister bombs, explosive bullets, and more onto the civilians of greater Aleppo. 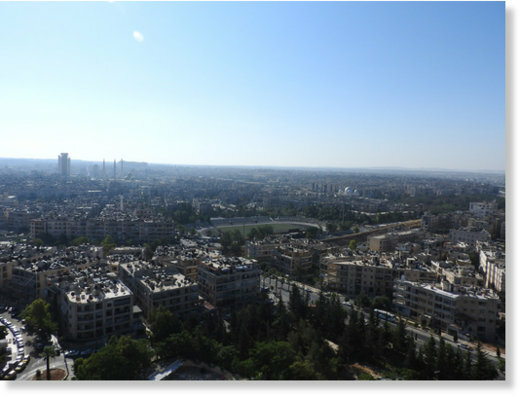 Terrorists factions occupying areas of Aleppo include Jabhat al-Nusra, Ahrar al-Sham, the so-called “Free Syrian Army”, and child-beheading Nour el din Zinki mercenaries. 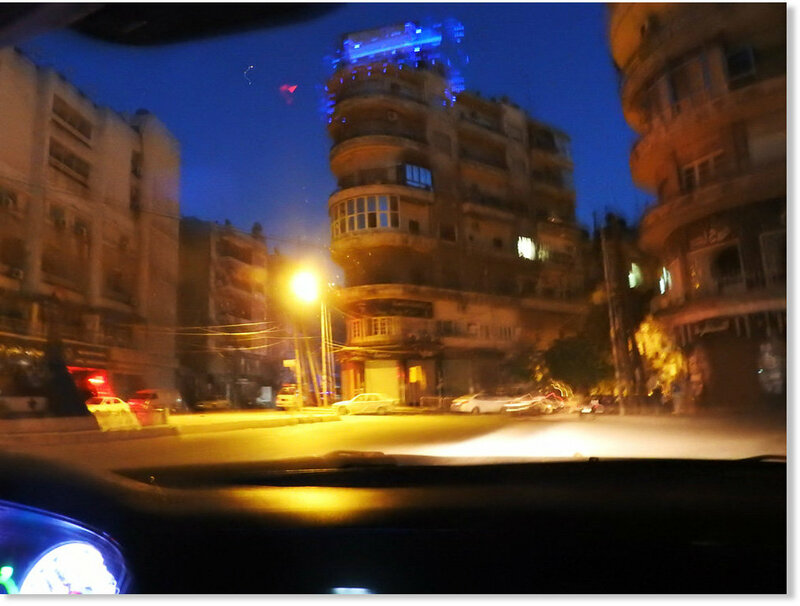 In July and in August, 2016, I traveled by car to Aleppo, to meet with doctors and ordinary civilians, and to hear their testimonies of life in a city which has many times been under terrorists’ siege and is always under terrorists’ bombings and snipings. I was also able to visit Nubl, adjacent to Zahra’a, two villages just north of Aleppo which were under a devastating 3.5 year siege by terrorist factions until SAA and allies lifted it in February 2016. Residents endured prolonged periods of hunger, were targeted by terrorists’ bombings, and for want of medicines, medical treatment, and sanitary conditions suffered diseases that could otherwise have been treated. 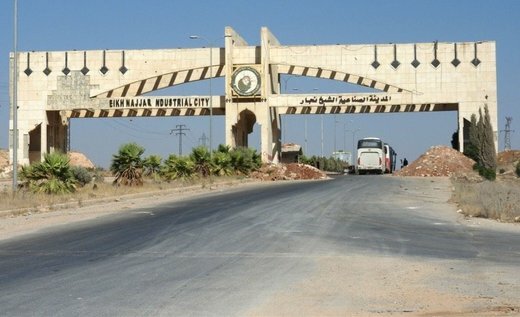 The main highway to Aleppo runs through Idlib and Aleppo governorates. Due to the occupation of their countrysides by terrorists, the sole means of entering the city has only been via the Khanasser road and onto southern Ramouseh road, a roughly 500 metre stretch of which was risky due to terrorists’ sniping and shelling. 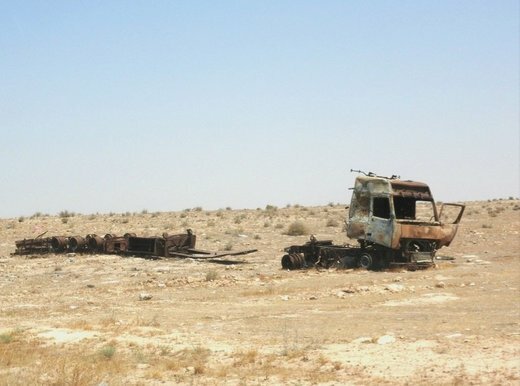 By August, the Ramouseh road had been closed due to terrorists’ increased shelling and sniping, and subsequently due to their occupation of districts in and near Ramouseh. 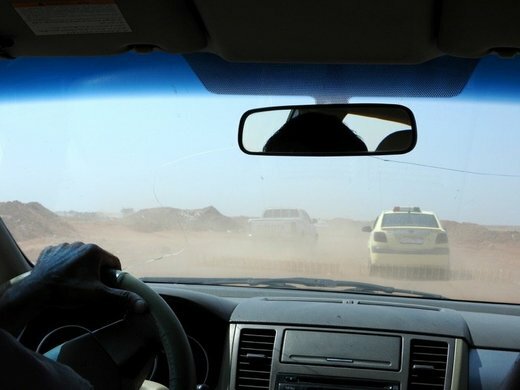 North of the city, the Castello road—much of which is a bumpy dirt path framed by the landscape of destroyed vehicles during the fight against terrorism—is now the only way into the city. 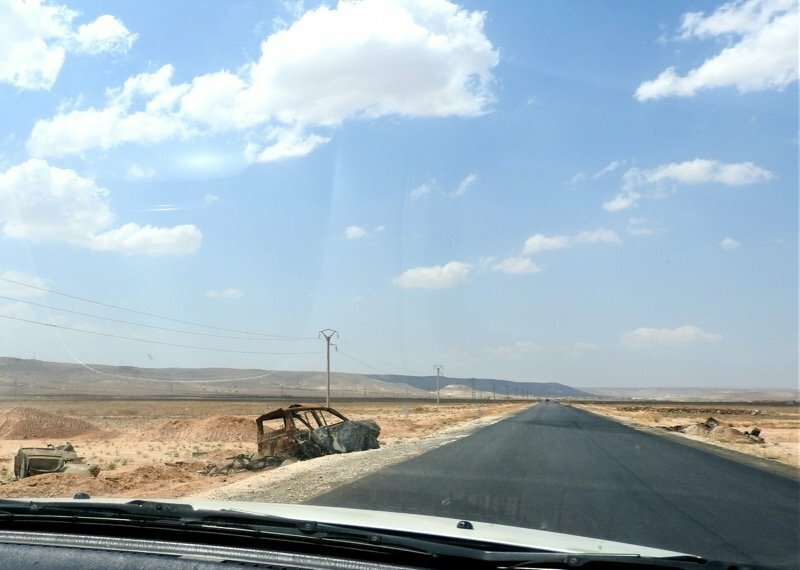 Although secured by the Syrian Arab Army (SAA) and allies, the road is nonetheless targeted by mortars from terrorists occupying areas outside of Aleppo, as was the case the morning I was leaving Aleppo. 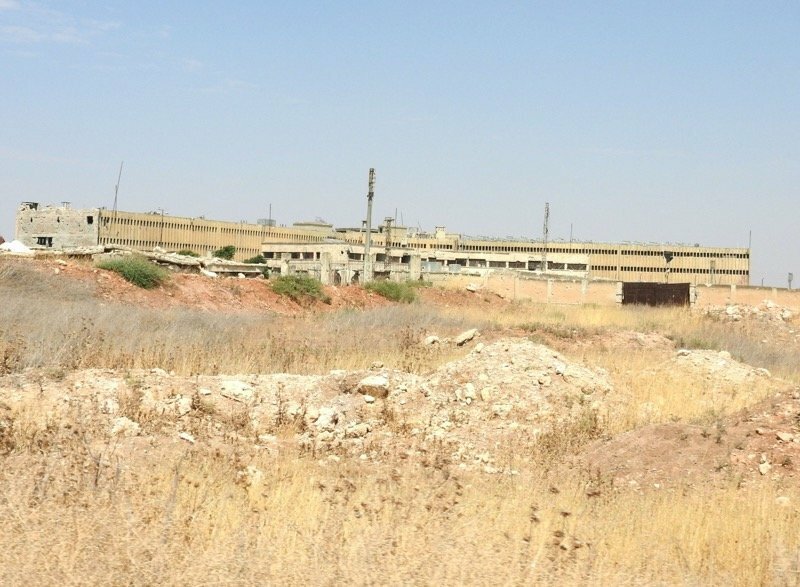 During the August trip, I visited the liberated areas of Bani Zeid and the Lairamoun Industrial district, both scenes of devastation in the fight against terrorists who were finally defeated. Following are photos from the two visits. Driving up the Khanasser road, one passes the shells of trucks and cars, destroyed in one of Da’esh and other terrorists’ attacks on the road. On many sections of the Khanasser road, as well as the east-west road leading to Ithriya, Da’esh terrorists flank one side of the highway, just 2 or 3 km away, and the so-called FSA, al-Nusra and other factions flank the other side. 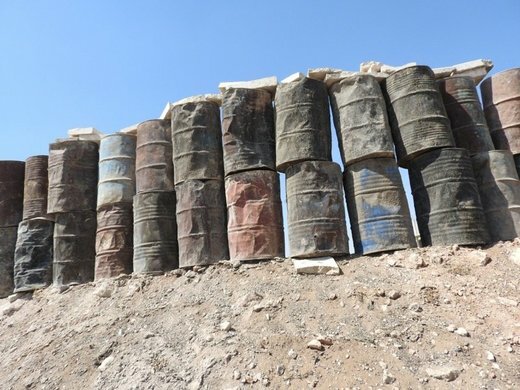 Entering Aleppo via the southern Ramouseh road, stacked barrels, then embankments of sand and earth, screen cars from terrorist snipers’ bullets. 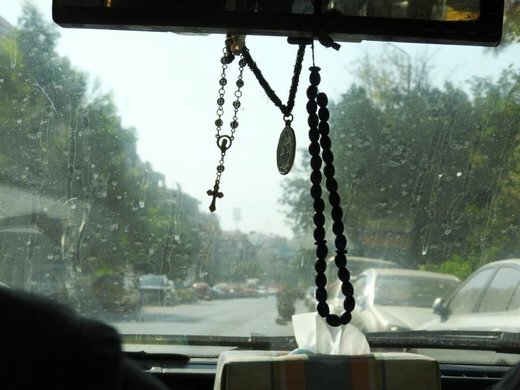 Five of the driver’s were killed by snipers on this stretch of road in Ramouseh. 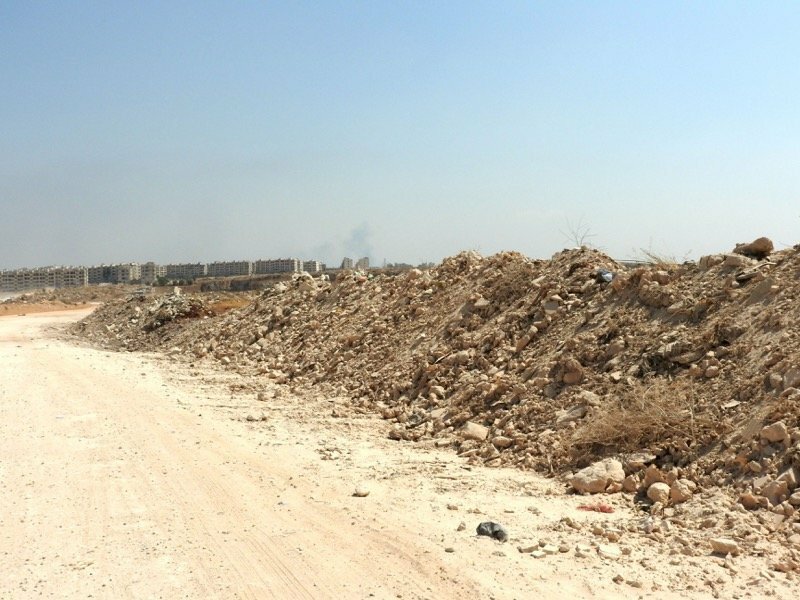 This alternative road was the main means of entering Aleppo. 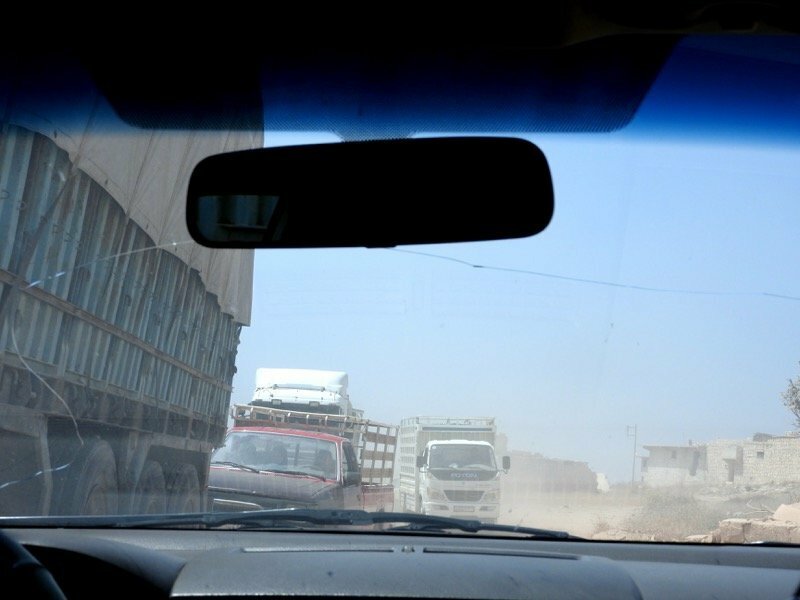 Civilians in trucks, buses and cars on the road are all potential targets for Western-backed terrorists. Passing a cement factory roughly 400 metres from the road, beyond which, are terrorists occupying Sheikh Saeed, the driver explained, “here many mortars fall”, and opened a window so that it would not shatter from pressure. He then explained that for the next 500 metres, the risk of snipers’ bullets was high. Aleppo resident: “If you go straight 200 metres from this point, it is the no-man’s land, in both directions. There are still people living there, but it’s dangerous for them because of the mortars and snipers. At the borders, they put large pieces of cloth to hide the vision of the snipers.” That said, snipers could still randomly shoot through the cloth if they want. 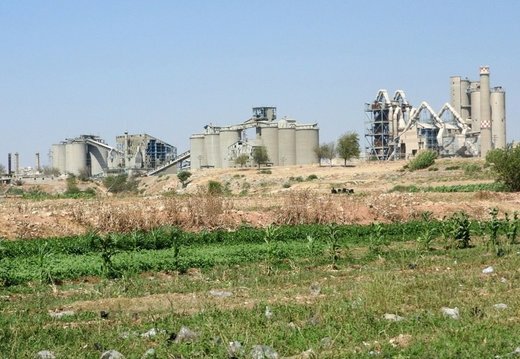 The power plant lies in areas controlled by terrorist factions. 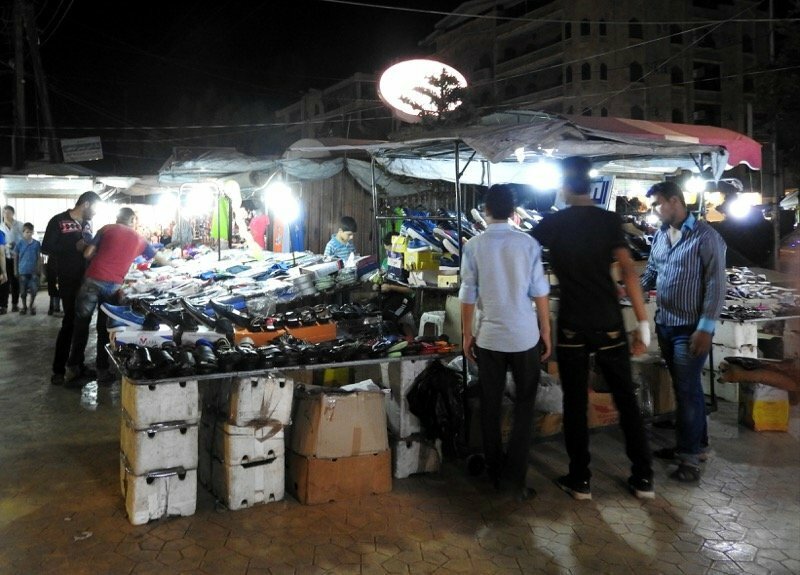 For years, Aleppo residents have suffered from a lack of power, and compensate by purchasing generator-supplied electricity. Not cheap, some opt to buy just 1 ampere worth, which according to Aleppo resident Nabil Antaki costs around 4000 Syrian pounds a month (roughly US$8) . Two amperes will run a small television. Four amperes, a fridge, small television and a few bulbs. Beyond the historic Aleppo citadel, signs of the fight against terrorists who have bunkered deeply underground, as they did when occupying Homs and elsewhere in Syria. Aleppo’s old city has suffered immense destruction from the war that Syria did not ask for. Aleppo under government protection hosts thousands of refugees who have fled terrorist-occupied areas of the city. Ramadan prayers in the Rowda mosque, where Grand Mufti Hassoun used to give sermons. According to his assistant, before the war on Syria about 500 women regularly came to pray at the mosque. “Six or so months ago, a mortar hit the mosque. It bounced off the dome and fell outside in the courtyard. 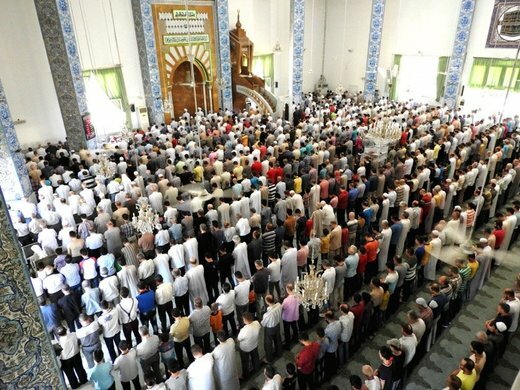 There were about 400 children here learning the Quran. If it had gone through the roof, it would have killed a lot of children,” he said. The worshippers at this mosque are predominately Sunni, in a city secured by the Syrian government. This is notable in that it contradicts the Western media’s blatant propaganda about a sectarian war, a “Sunni uprising against the government”. 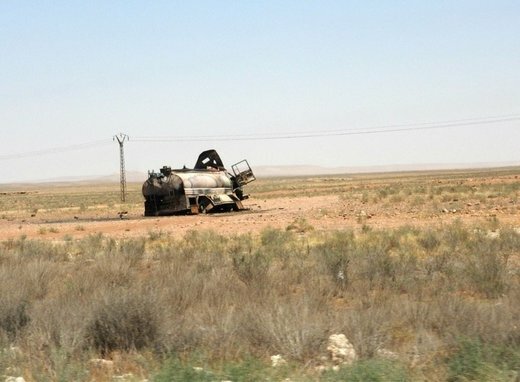 From Aziziya district, on July 4, half a kilometer away, the explosion of a terrorist-fired bomb. Around 5 pm, this is a busy time when streets are packed with cars and pedestrians; terrorists know they can kill and maim more civilians when attacking at these busy hours. Minutes later, an anti-aircraft explosive bullet landed roughly 15 metres away from my Aziziya venue. Had it landed on one of the parked cars, there would have been many casualties. A day later, such an explosive bullet killed the mother of an Aleppo friend, at her home. 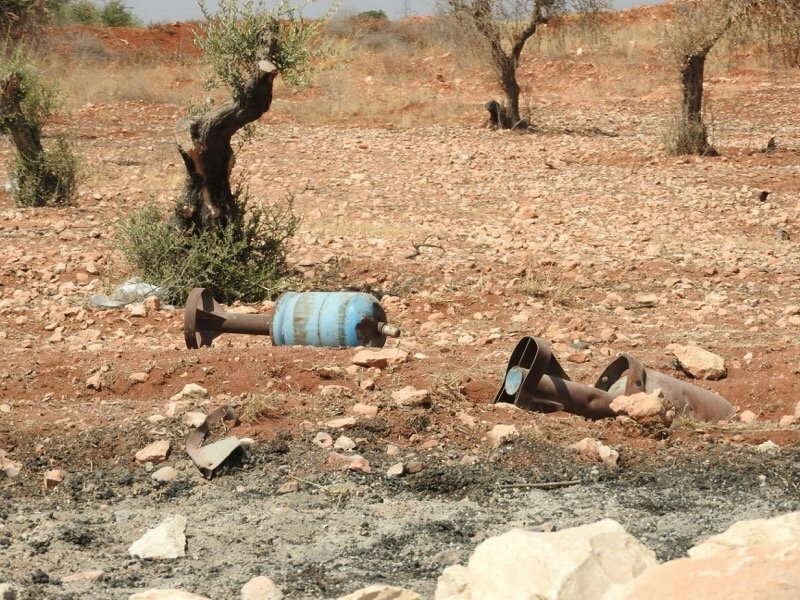 Hell Cannon-fired gas canister bombs litter the countryside around Aleppo and on the route to Nubl and Zahra’a. These, and larger variations, are what Western-backed terrorists have rained down on the city of Aleppo, as well as besieged Foua and Kafarya in Idlib governorate. Manufactured locally, fired upon civilians daily, gas canister bombs get virtually no mention in corporate media, although their impact is deadly. Abdul Karim Assad, 7, has painful face disfiguration from a terrorist-fired mortar which burned his face. 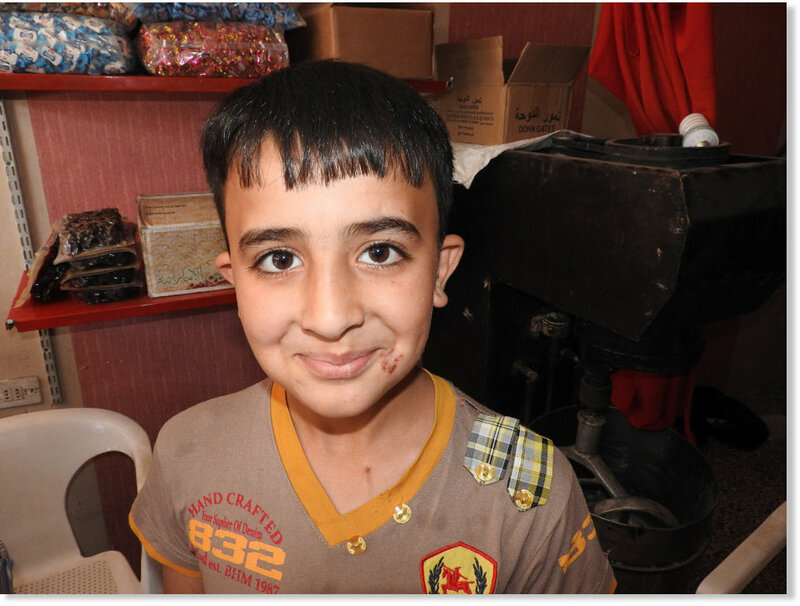 Under siege at the time, the boy was only treated with basic medical care in a barebones hospital in Zahra’a. 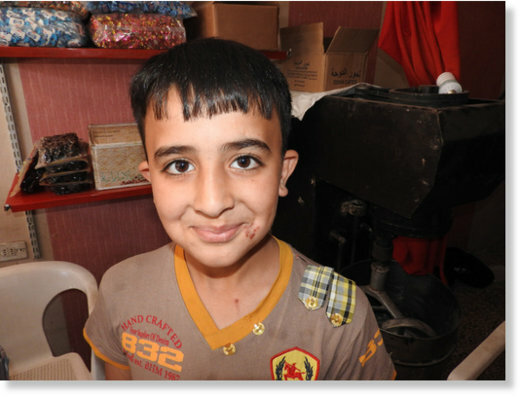 The boy is not originally from Nubl, but from Idlib, from which his grandfather fled when terrorists invaded. He is another poster child for the terrorism inflicted upon Syria. 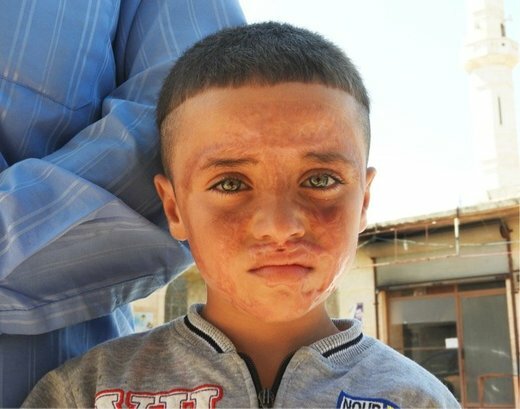 Boy with early stages of what is believed to be Leishmania, a garbage and sewage-related disease spread by sandfly bites, which causes painful lesions. If not treated, can worsen to permanent facial disfigurement. Aleppo’s over 1.5 million residents are depending on trucks from outside of the city to bring in the basics of life. 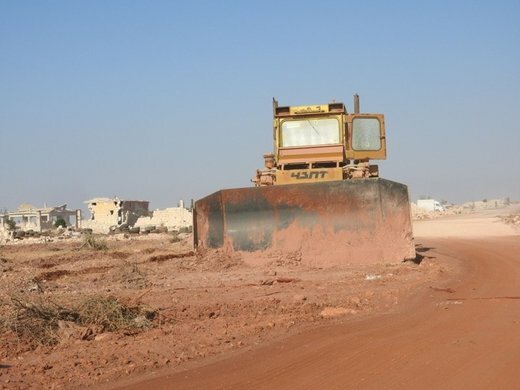 Unable to use the main highway, and now unable to use the paved Ramouseh road, trucks travel an extended distance over many rough dirt roads to enter Aleppo from its north. 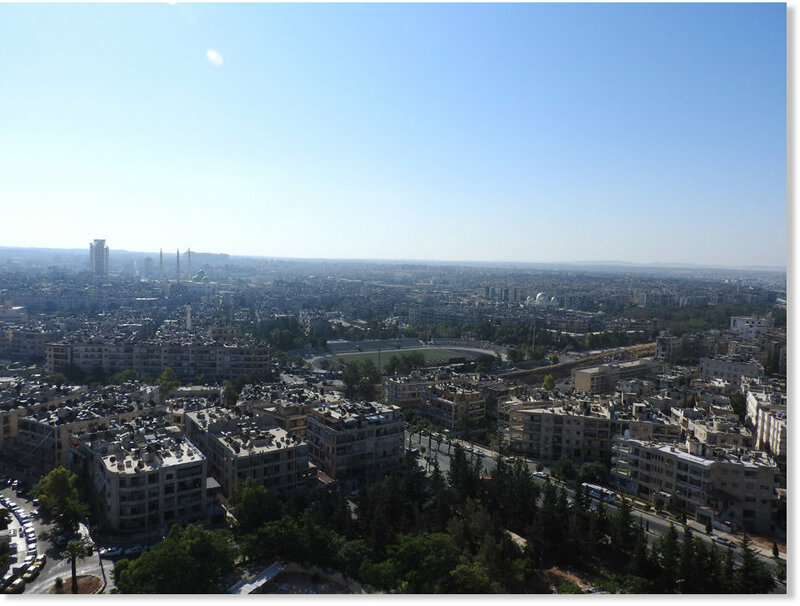 The Aleppo Central Prison, besieged at varying times by terrorists of Ahrar al-Sham, Jabhat al-Nusra, and Da’esh (ISIS) for over 1.5 years, liberated in May 2014. Prisoners fought next to the Syrian Arab Army against the terrorists attacking them. According to al-Akhbar, “830 prisoners died from starvation and tuberculosis” during the siege. Gate to Sheikh Najjar Industrial City, a large district whose factories were systematically looted and taken to Turkey. Footage taken in November, 2012, shows large trucks ferrying away equipment and machinery looted by the so-called Free Syrian Army. Thousands of factories have been looted from Aleppo by terrorists occupying industrial districts. 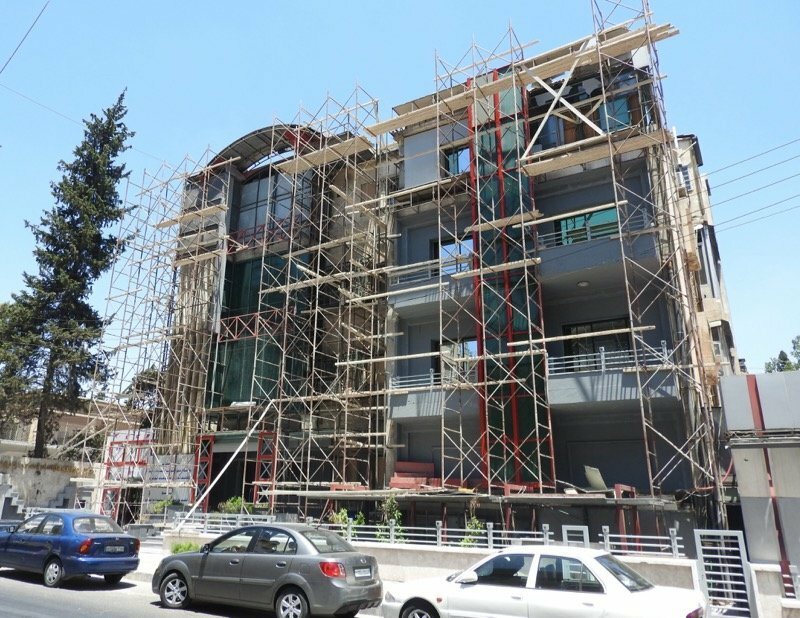 Until July, 2016, the northern Castello road and areas nearby were occupied by terrorists. Now, the liberated, mostly bumpy, dirt road, is the only way to enter Aleppo. Moving along the Castello road, a soldier stops the car to warn, “Don’t be close to the cars around you, leave space.” In case one of our cars is attacked, leaving space minimizes the casualties. 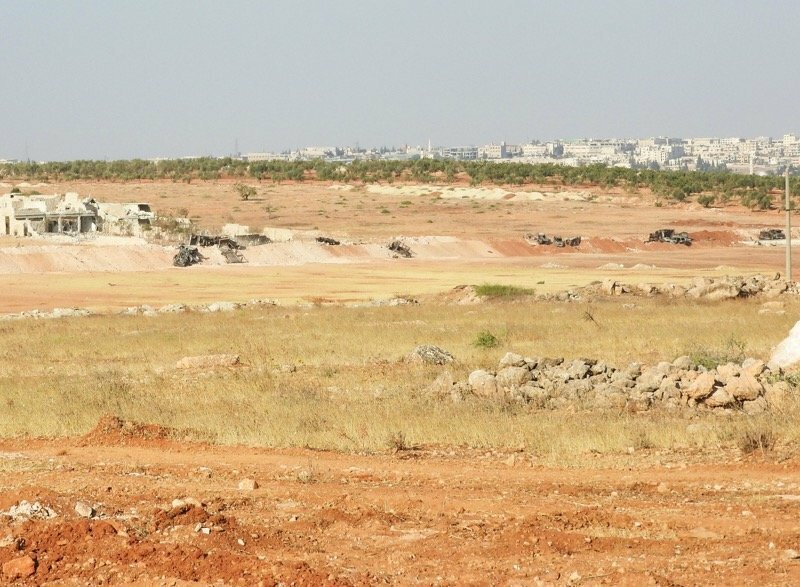 In the distance, the wasteland of Bani Zeid’s buildings, destroyed, but no longer occupied by terrorists. 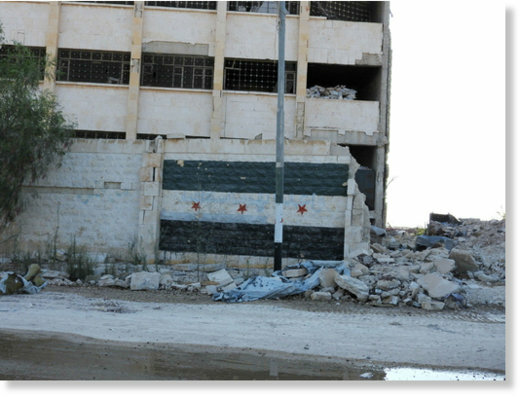 Building used as a base for terrorists of the 16th Brigades, of the so-called FSA. Barrel lines served as snipers bunkers. In terrorist headquarters, writing on one pillar: “Yousef Hayani”. Hayani was leader of the 16th Brigades, of the so-called FSA. 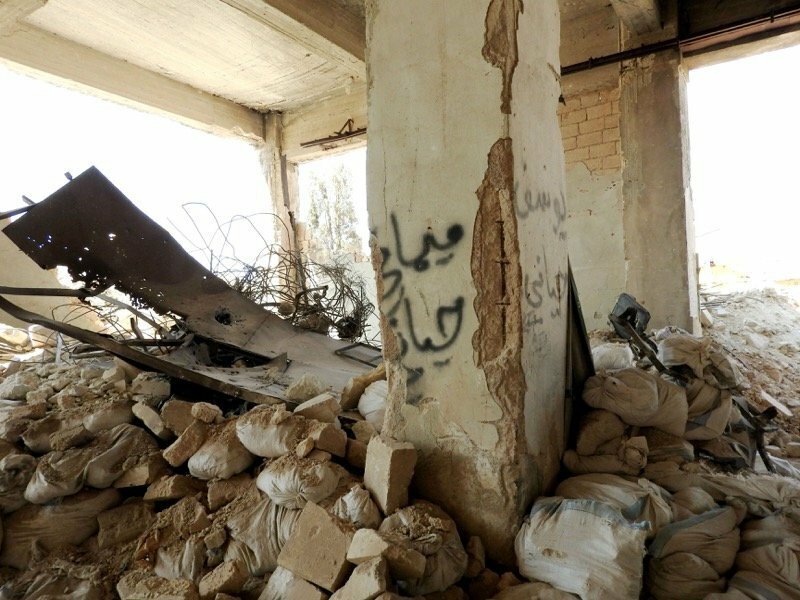 In liberated north Aleppo districts, in addition to the destruction, sore reminders of the presence of terrorists. This flag is representative of the some worst terrorism the world has known. 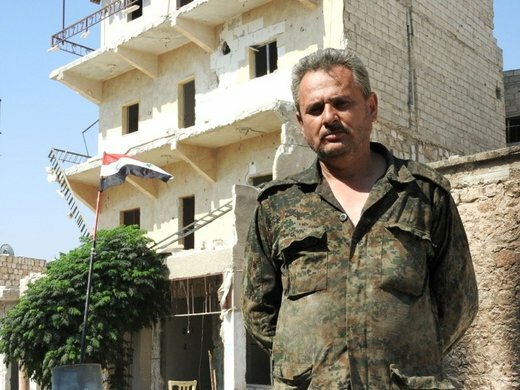 Aleppo civilian who volunteers as a soldier to protect liberated Lairamoun Industrial district. 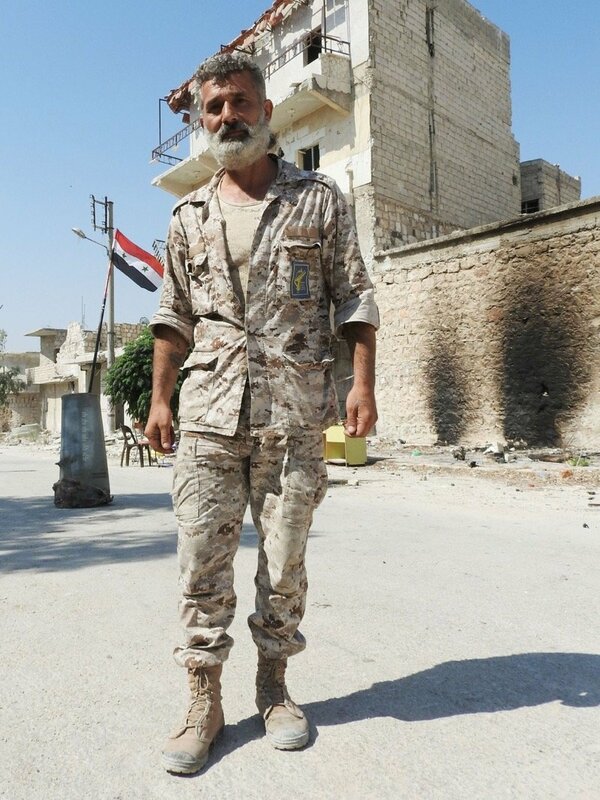 Representative of the defenders of Syria, this man also has three sons in army, and a brother martyred protecting Syria. 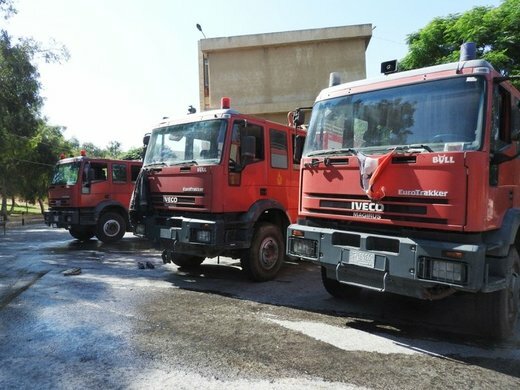 Civil Defense in Aleppo lack proper equipment due to terrorists stealing 12 of their firetrucks and 3 ambulances, and due to the criminal Western sanctions on Syria. The rescuers need small and large fire trucks, ambulances, rescue equipment, and proper masks. One of their team of volunteers, Mohammed Ahmed Dabbish, was killed on August 2 when terrorists attacked their rescue mission with toxic gas. 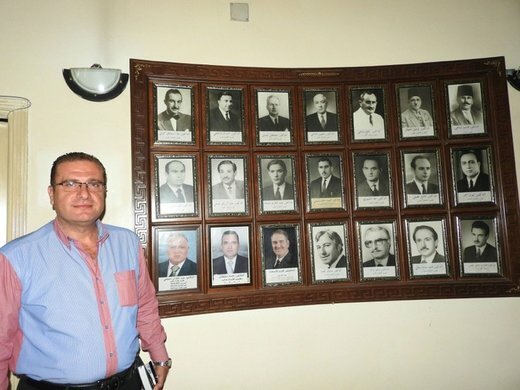 Dr. Zaher Buttal, head of the Aleppo Medical Association, confirmed there are over 4,100 registered and active doctors in Aleppo, including nearly 800 specialists doctors and surgeons (see: “Western corporate media ‘disappears’ over 1.5 million Syrians and 4,000 doctors“). 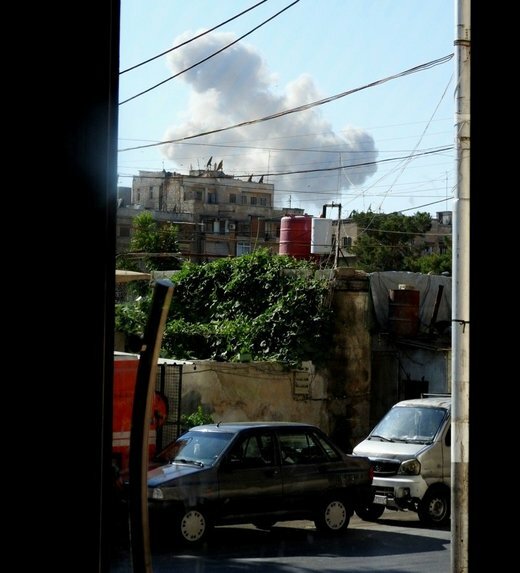 “Civilians are targeted. The only aim of terrorists was to kill civilians, especially children. 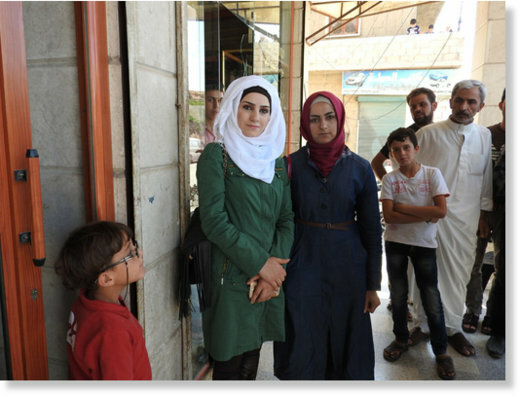 They aren’t attacking the army.” According to Dr. Buttal, since July 31 and as of our August 15 meeting, 143 civilians (including 23 women, 54 children) were killed by terrorists’ attacks on the city. 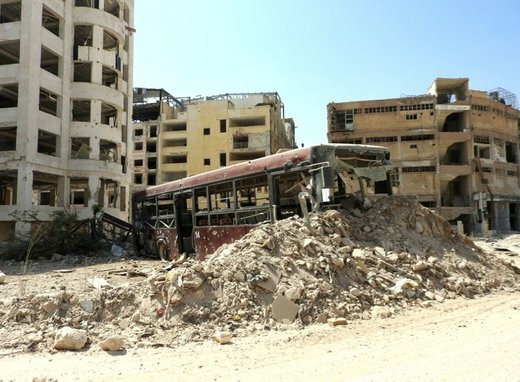 The Dabeet maternity hospital, the inside destroyed and outside badly damaged on May 3, 2016, by terrorist rocket fire, is one of numerous hospitals targeted by terrorists in Syria. The May 3 attack killed three women. 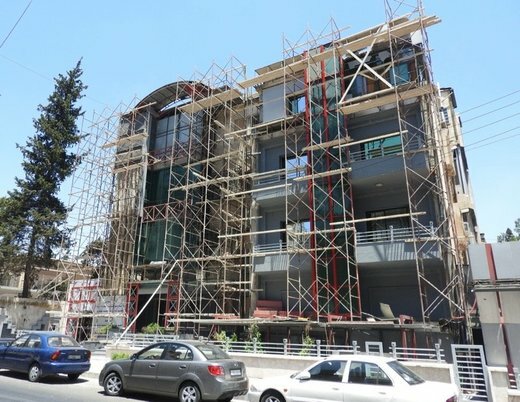 A week later, the hospital was hit by terrorist mortar fire. 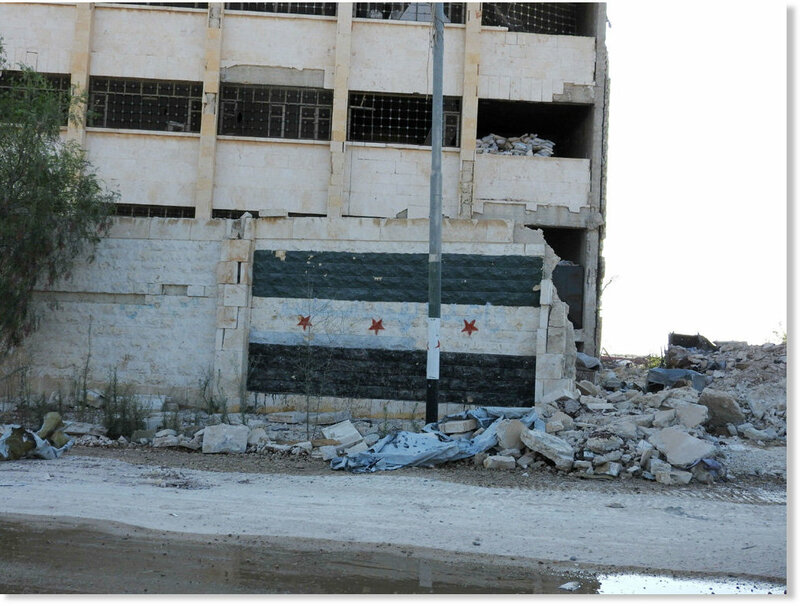 Aleppo’s Kindi hospital, destroyed by terrorists, was one of the largest cancer hospitals in the region. 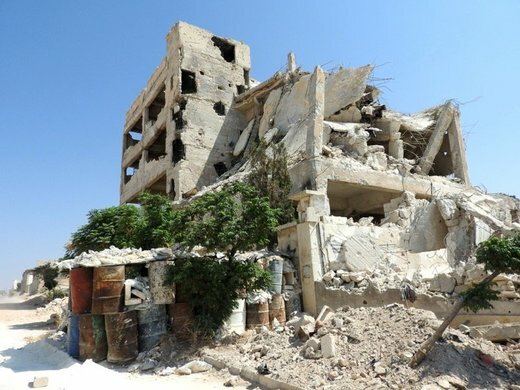 “In just the first three years of this war, before ISIS came to Syria, the NATO and Gulf monarchy-backed armed groups had systematically attacked more than two thirds of Syria’s public hospitals, and had murdered, kidnapped or injured more than 300 health workers,” wrote Professor Tim Anderson. Small public park in Aziziya. People who are displaced frequent such parks, to get out of the small apartments or government-supplied shelters they live in. 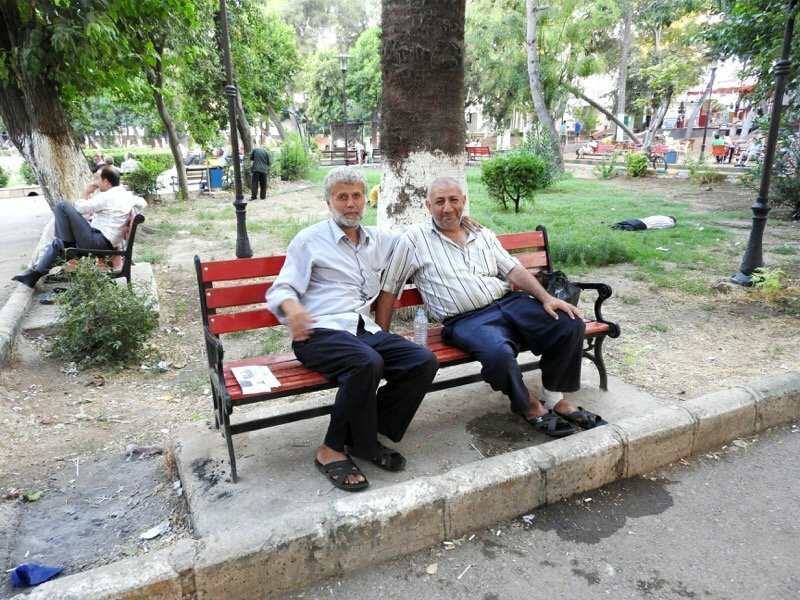 On July 22, in another of Aleppo’s parks, “five civilians including a child and a woman were killed and 27 others were injured due to a rocket shell fired by terrorists on the Public Park”, SANAreported (photo here). 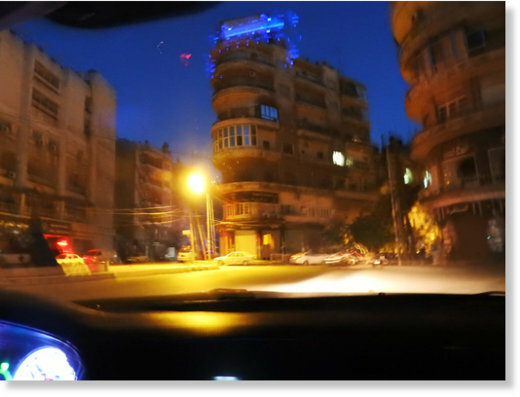 Taxi of an Armenian driver who lamented that the war on Syria is sending the country 100 years into the past. This is a commonly expressed sentiment in Syria, whose ancient cities and relics have been destroyed or stolen by terrorists from all factions, whose infrastructure has been systematically targeted by terrorists, and whose economy has been shattered by the combination of the war on Syria and the savage Western sanctions on the people of Syria. 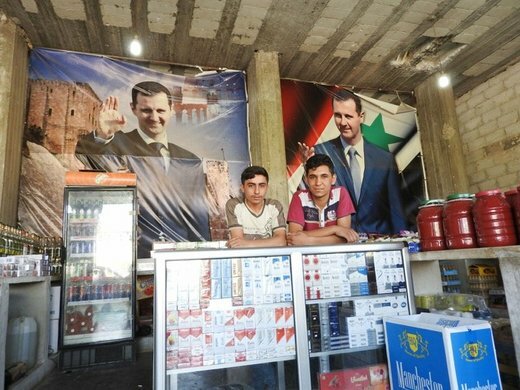 Items for sale at a roadside shop north of Aleppo. 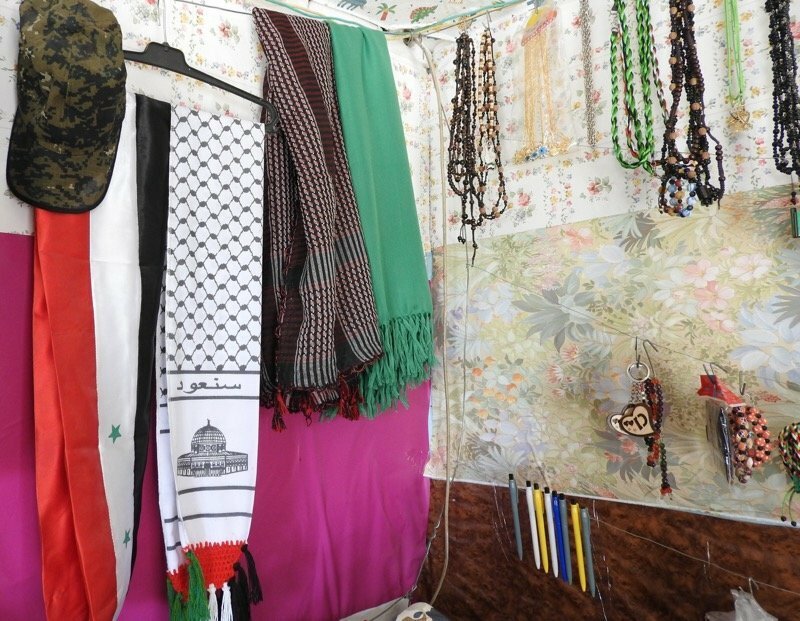 Amid the military style clothing, Syrian flags and other items, are Palestinian pendants and scarves. Western media and deceitful supporters of Palestine have lied for years about the Palestinian-Syrian relationship, ignoring the presence of numerous units of Palestinian soldiers who fight alongside the Syrian Arab Army in defending Syria.